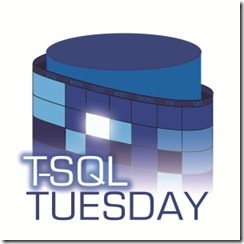 This is a post for T-SQL Tuesday #97 and it is about your learning goals for 2018. I too am a fan of Zig Ziglar and I seem to remember he also said a goal is a dream with a deadline. It is being hosted by Mala aka @sqlmal – Thanks Mala! So, let’s revisit some of my past and chat about things before I get into my learning goals for 2018. I did finish my master’s degree but it took longer than I expected and not at the GPA I would have liked. I was in the U.S. Navy Reserve (USNR) at the time so staying combat ready and ready for deployment was always a priority. We were living in a house at the time and I wanted to really get into hydroponics as I loved the idea of efficient gardening. Never got around to it and now I live in a house with a draconian homeowner’s association and I can’t have any kind of permanent structures like a greenhouse or a shed in my backyard. But I do have some above ground boxes aka Square foot gardening which come Spring 2018, I might be tempted to get into IoT. I did start a home-based business in the form of eBay. Made some money but it is a lot of work to do it well enough to make it a full-time job. But I did prove to myself I could do it. We bought three pallets of consumer electronics, mostly customer returns from retail stores, fixed and cleaned and sold them. I had to start traveling more and more and couldn’t keep up so I shut it down. Now with virtual reality (VR) headsets here, I might be tempted to get back into it by buying and selling mobile VR rigs. FMP was FileMakerPro which I was a developer at the time. Then I got into MS Access (don’t be a hater) at that job before leaving for a dot com company. But now with the rise of GPU horsepower in high-end video cards or dedicated GPU compute cards, that power is available to nearly everyone. “Find a job that will satisfy your hearts craving!” <- Being honest here, I think I’m still working on that one. Some of this is for personal, some is for work. SQL Server: Linux. When this gets published, I will take time to learn Microsoft SQL Server 2017 on Linux by Benjamin Nevarez as my current work environment uses Linux for everything else. Since I want to upgrade to SQL2017 from SQL2016 next year, this would be a good time to get up to speed on it. I need to start over again on the Microsoft Data Science program as I didn’t stick with it. But now, my boss is willing to give me time to study for it so I want to hit the first quarter hard and concentrate on it. So yes, I am spending time in the evening working on some non-SQL stuff. SQL by day, VR by night. Question #2: How and When Do You Want to Learn? Mala has done a great job rounding up some resources on her link above. I have my own personal Pluralsight subscription and recently bought Brent’s Cyber Monday recorded classes. An additional free resource that can get overlooked is your own public library card. It gives me FREE access to Lynda.com and those courses are in addition to and complement the Pluralsight courses. And don’t forget GroupBy too. For me, I have to do it first thing in the morning before work starts or right after I take a run. I don’t retain as much info if I wait longer but then I usually get a short second wind/motivation after dinner if I am not too full from eating. My learning style is by doing- I can’t just sit and watch stuff. I have to play around with it and try things. I will travel and submit to speak and learn at SQL Saturday events as time and budget allows. 2018 might be a lean year for me as we are still on a no-travel restriction at work. I’ll do what I can even if that means only driving distance venues. Question #3: How Do You Plan to Improve on What You Learned? From reading both Peak: Secrets from the New Science of Expertise and Grit: The Power of Passion and Persistence and some of my own experiences trying things, it really is a use it or lose it proposition. I once knew C but have forgotten everything because I didn’t use it as a hobby or for work. Personal advice: don’t beat yourself up if you forget things you once knew so well. Re-learning can activate A LOT of memories you thought were gone and can help make the learning a little less painful. Plus you can add wisdom to things you did not have previously. Good luck with everyone’s learning goals!